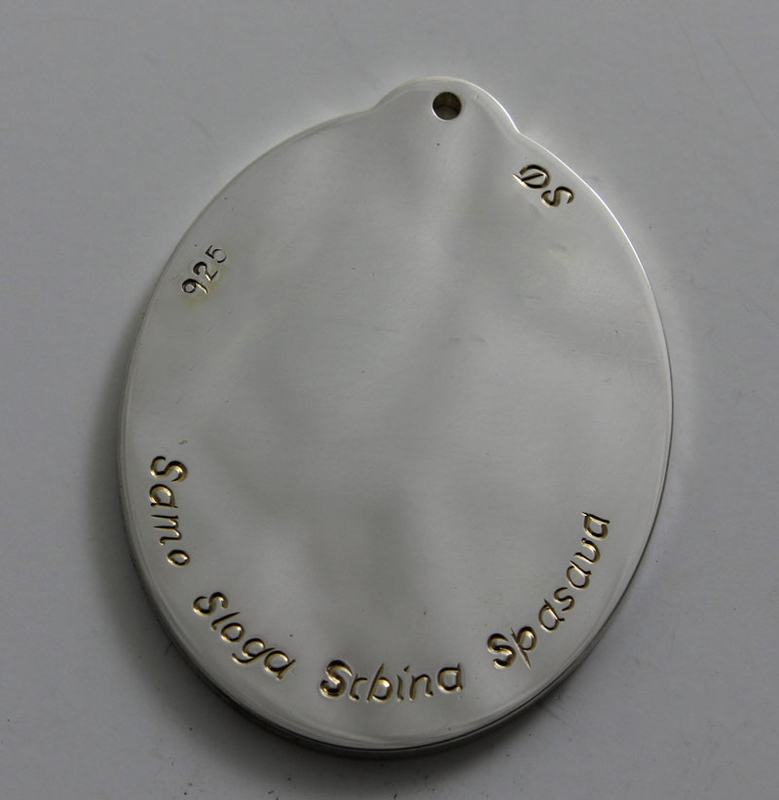 This 1″ wide oval pendant is custom made from solid 14 guage Sterling Silver. The intricate design is hand engraved in deep relief fashion with the recessed areas plated in 24K gold. 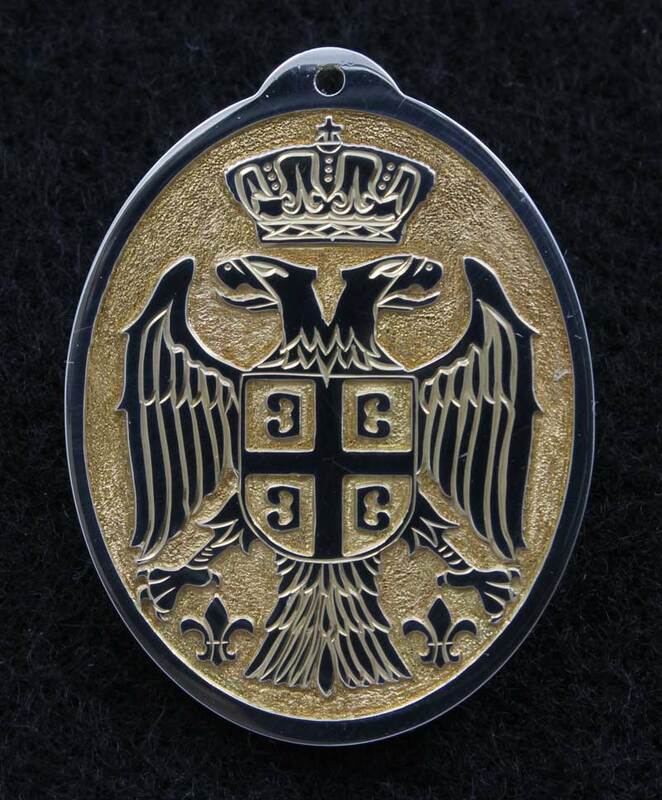 I was commissioned to engrave this pendant by a proud Serbian/American customer who is quite pleased with the outcome. 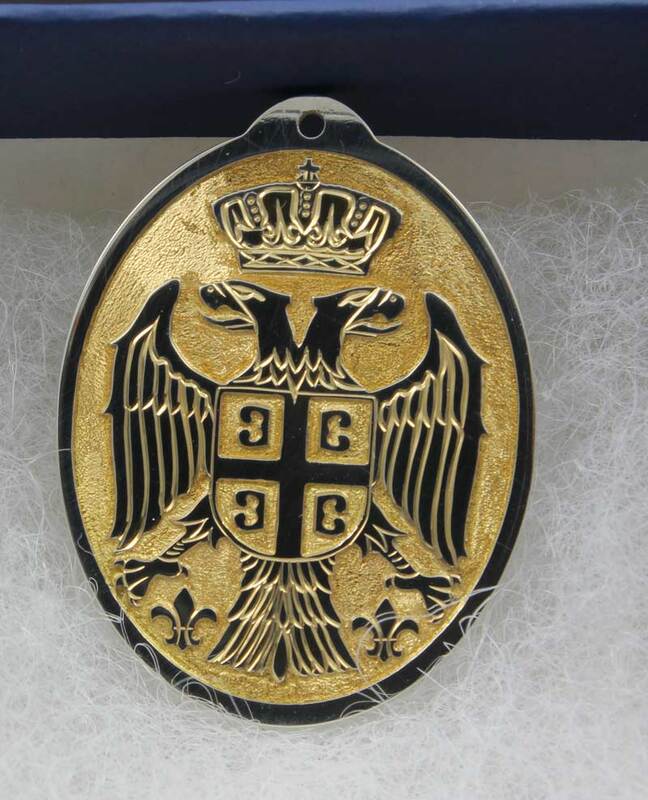 On the back is engraved the four Serbian words that represent the meaning of the four C’s in the Serbian Coat of Arms. The letter C is written as S in the Serbian language. This was a very demanding but enjoyable engraving project!